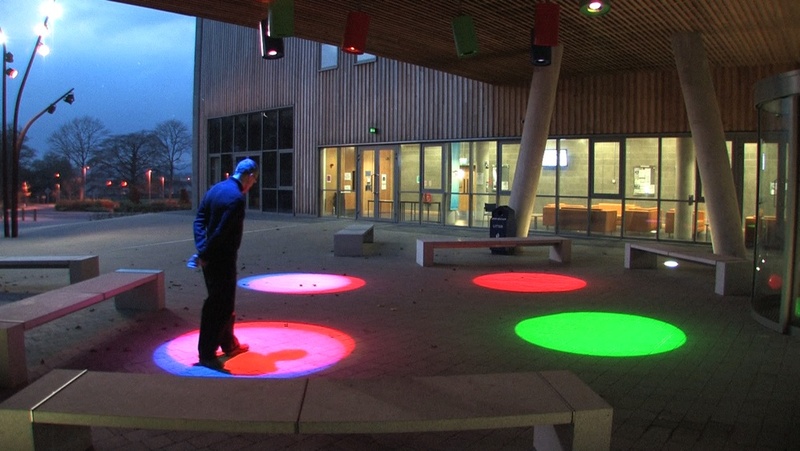 Colour Wheels is a permanent light installation for the new entrance of the ‘Mary I’ campus of Limerick University, Ireland. 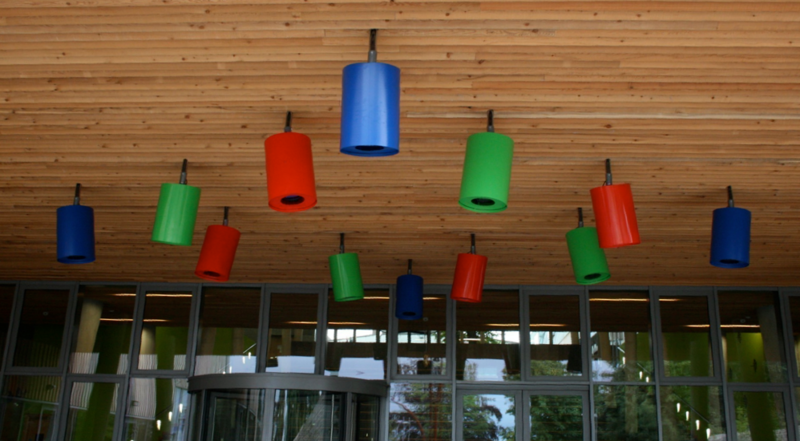 Each of of the 12 lamps project a circle of primary colour (red, green or blue) which overlap to make secondary colours (yellow, cyan and magenta). Three superimposed projections will make a circle of white light in which a person will cast three shadows, one in each of the secondary colours. 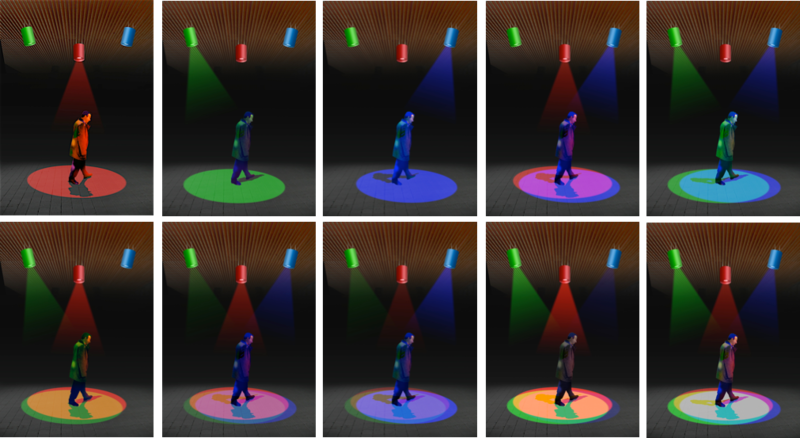 A computer programme - reacting to data coming from a surveillance camera - controls the dimmers of all twelve projectors, creating more complex interactions of colours with the people who are moving through the entrance space and the adjacent student forum.